A little baby is miraculously healed of asthma after prayer in Jesus' name at Roger Webb's meeting. Even in allergy season, when the family was experiencing reactions, this little boy did not have any asthma. Here is the boy's father, a former bullrider, who receive healing from back injuries. 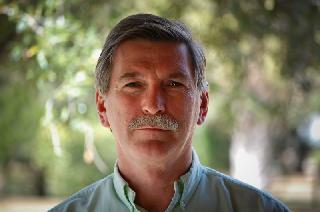 You can find more testimonies at Roger Webb's page. Here is a man who received healing for his foot, which was two sizes smaller than his other foot. He used to have to buy two pairs of shoes at a time in order to end up with one good pair he could wear. No more. Now his feet are the same size after Roger Webb prayed for him in Jesus' name. God has been doing healing miracles on the streets of Dudley, England, through the prayer ministry of Richard Steel. In this first clip, a man is healed of partial deafness and his wife is healed of tinnitus. They also received the Lord Jesus Christ. A woman receives a double miracle — healing for a problem in her mouth and for arthritis in her knee. She felt the power of the Holy Spirit come upon her. A lady is miraculously healed of chronic arthritis in her back with which she had suffered for ten years (on a scale of 1 to 10, she described the pain as a 10). When Richard prayed for her in Jesus' name, the healing power of God manifested. She felt a warm sensation and numbness coming into her back, and the pain was gone. And now she can straighten her back without pain. A woman receives prayer in Jesus' name and experiences a burning sensation in her back and is healing from arthritis pain. A wheelchair bound woman is healed of back pain from a spinal injury receives healing prayer and was able to get up and walk without pain. A seven year old girl in Dudley, UK, prayed for her classmate to be healed of pain in Jesus' name, and her friend was healed. Even little children can pray in Jesus' name and see the power of God revealed in healing. Equip believers with the insight needed to maximize their visionary gifts! Combining instructive narrative teaching with succinct, dynamic truths, well-known pastor and best-selling author John Eckhardt reveals the role, power, and impact of prophecy today. He builds on biblical concepts and incorporates his own experiences to encourage you to develop a strong flow of prophecy in your own church. "Shifting Shadows of Supernatural Power charts the storm brewing between the power of God and the enemy's schemes and encourages you to step out of the shadows and into the Light. A history of the prophetic movement in the United States combined with interviews of many well-known prophetic voices such as Jill Austin, Todd Bentley, James Goll, and Rick Joyner serves as a compass to navigate the storm and change the course of a too-complacent, intellectual church. Prophet Johnson, healer Chavda, and therapist Loren equip you to step into God's presence, define shifting shadows' origins, sharpen your discernment, recognize converging movements, and increase in power and authority. 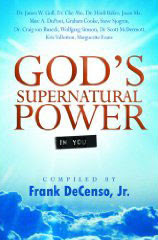 Arm yourself with knowledge to distinguish the difference between power coming from God, the enemy, or even yourself. By tapping into God's authentic power and using His gifts of the Spirit, you'll access His supernatural signs and wonders — today!" 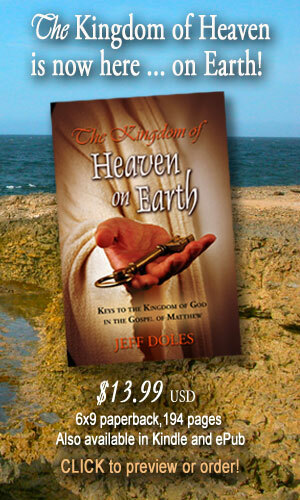 "This book contains interviews and excerpts from many well-known prophetic voices who call for readers to step out of the shifting shadows of loyalties and into a passionate pursuit of the King of Kings and Lord of Lords, His glory and the power inherent in His kingdom. It is a call to take your place in the plan unfolding … a plan that heralds the close of this age." In today’s spiritual climate, vast shades of gray seem to over power the well defined boundaries previously called black and white. The need of the hour is for discernment. True discernment restores boundaries, dispels fear and creates a safe environment where authentic spiritual experiences can flourish. Julia Loren comes to our aid in her must-read book Shifting Shadows of Supernatural Power by re-establishing proper guidelines for those in spiritual quest. University of Philadelphia study examines "speaking in tongues" as neurological phenomena. Rolland Baker, of Iris Ministries, gives his testimony of miraculous healing. Rolland shares his testimony about going through malaria and some strokes, it got really ugly, but he is healed! "The doctor said ... I would be dying soon ... that's where I was 3 months ago." "Heidi and I would both be death today if our doctors had been right about us." This was the beginning of 22+ weeks of Holy Spirit renewal of the youth at MorningStar ministries in Fort Mill, SC. The Lord visited us here at Heritage International Ministries on Wednesday, April 23rd, during a Bible Class in our CSCL day school, which then blew up into a 12-hour Holy Spirit break out! Kids, teachers, staff, parents, and students all were impacted by the presence of God in various ways — healing, deliverance, joy, mind and heart-change ... it was powerful and it has continued! This video is a brief documentary of what happened on Day 1 of this mighty outpouring. More videos of this revival can be found here. In India, a missionary named Mihir, who is supported by Gospel For Asia, reports many healing miracles that happened when he and his church prayed. Testimonies include a man who was healed of leprosy, a young woman healed of paralysis, a woman healed of brain cancer, another woman who was delivered of a demonic spirit, and an infertile couple who were finally able to conceive after the church prayed for them. All in evidence of the healing ministry of the Lord Jesus Christ. “Miracles are being seen throughout Asia, and the Lord is using Mihir to bring glory to His name among people who wouldn't otherwise know about Him.” Read the full article. One word from the glory — “Wake up, Sleeping Beauty!” — was all it took to release the resurrection power into the intensive care unit (ICU). The young woman walked out of the hospital three days later, pushing her nurse in a wheelchair! Mahesh and Bonnie Chavda, the pastors of All Nations Church in Charlotte, NC and Atlanta, GA, give that testimony about a woman who was in a diabetic coma. The doctors had pronounced her brain-dead. We prayed, calling him back to life, as did many others at that time. The next morning his mother called. She was thrilled — someone had noticed Matt move one foot, seemingly in response to a touch or a voice. A skeptical doctor came when called and was surprised to confirm that Matt was actually responding, though in a very limited and unpredictable way. The state of coma was still profound. It continued for weeks. We received another urgent call for prayer as Matt was returned to ICU with pneumonia and other complications. That night in class we watched the DVD of the [Rend the Heavens] conference and heard Mahesh tell the ‘Sleeping Beauty’ story of the comatose girl. At the end of that testimony Mahesh gave a word that someone in the audience had a relative or friend in a coma whom the Lord wanted to heal, and instructed that person to stand. He even spoke of someone watching by recorded media who knew someone in a coma. My husband and I were sitting across the room from each other. We looked at each other in astonishment at this word and instantly stood to our feet in the classroom. Our class prayed according to Mahesh’s leading, calling “Sleeping Beauty” to awaken. The next day, I got a call from my friend, who was ecstatic — her son had awakened from his coma! Matt is home now, working hard to complete his recovery. Given the force of the accident and the extent of his injuries, it is a wonder that Matt is alive. That he awoke from his coma, wasn’t paralyzed, and can walk and function with anything near normalcy is an absolute miracle, a powerful testimony to the power of God! 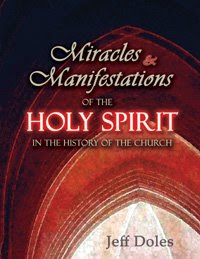 “I have seen and own a large number of books on the manifested power of God through Church history. 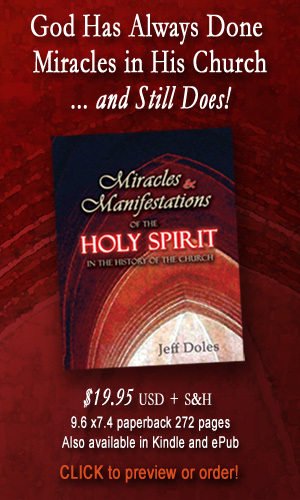 But I have never seen such a complete collection in one volume as is in Miracles and Manifestations of the Holy Spirit in the History of the Church by Jeff Doles. Yesterday we shared the testimony how the Lord used Sean Steckbeck for healing ministry and the prophetic word in Dimona, Israel. His wife, Ayelet Steckbeck, is a native Israeli who received Yeshua as her Messiah through supernatural circumstances. Here is a portion of her testimony as she gave it on the Sid Roth program, It’s Supernatural. You can watch her full testimony here. A young man, whose legs were crippled because of Multiple Sclerosis, is made whole by the healing compassion of God in Jesus Christ. 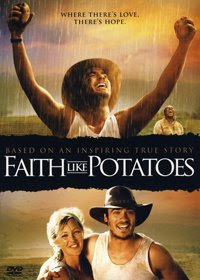 Dave Roberson is the minister in this clip. Very moving. Two testimonies of supernatural, instantaneous weight loss, through the ministry of David Herzog. Amazed by the Power of God, Vol 1. "We need ordinary people willing to minister wherever they are because lives need changed, the sick need healed and the oppressed need delivered. This will happen through 'ordinary Christians' who want to bring God's Kingdom to others through whatever means and giftings they are given," writes Frank DeCenso. The need for power ministry is as strong today as it was when Jesus and the apostles walked the earth.The need for demonstrations of God s powerful love, exhibited through His church, will demolish strongholds of unbelief and relativism, as well as tear down cultural barriers that may bring confusion when only the words of the good news are shared, but its power is neglected. When Jesus and the apostles proclaimed the good news of salvation to people,works of power accompanied them. Today, the entire church needs mentored in how to bring God s word to the world in power. This book is a prophetic call to engage the mission of bringing God s radical love to this hurting world through power ministry. It is time to return the joy of the Lord to everyday Christian life. The Greek term for ecstasy is linked with the pleasurable, God-given state of out-of-body experience recor4ed throughout the New Testament and the Church age. 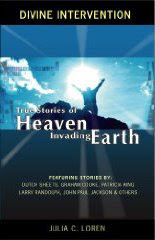 Author John Crowder shows you how God's active interaction with men and women through the ages has always been marked by supernatural experiences. More than a state of mind, you will see how the nature of God's ecstasy is found in the joy, bliss and inner raptures of His presence. Learn the history of trances in revival ministries. Gain a biblical understanding of Christian mysticism. Explore the ecstatic states of prayer and spritual trances. Learn how to walk in continued joy and pleasure before the Father. Be refreshed by the new wind of God's Spirit! There is no doubt that you can experience the joy and ecstasy of His presence every day of your life. Ecstasy, or extasis, is the Greek term for trance, and is linked with a pleasurable, God-given state of out-of-body experience recorded throughout the New Testament and the church age. Starting with the apostles ecstatic experiences on Pentecost, the Book of Acts further records trances in the lives of Peter and Paul. 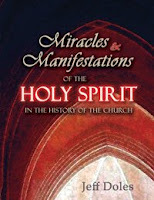 From the early church to the Christian mystics of the Middle Ages and the famous revivalists of centuries present, God s movements on the earth have always been marked by these supernatural experiences. In this book, John Crowder takes us on a journey from Old Testament ecstatic prophets such as Samuel and Elijah, to the future ecstatics who will usher in a massive wave of harvest Glory to the streets in these last days. God has always wanted a people who live in the Heavens, even as they walk on the Earth. And the world is hungry for the demonstration of a gospel of supernatural power that flows from a life of divine pleasure. Roger Webb, an evangelist based in Orlando, FL, is seeing the healing, miracle-working power of God regularly at his meetings. Sometimes broadcast on Ustream, his meetings have brought forth numerous miracles in viewers and he has received many healing testimonies at his Facebook page. He reports some of these here, including: knees healed, dental miracles, torn rotator cuff no longer torn, and relief from asthma, bronchitis, firbromyalgia, and various other pains and afflictions. Also included are healing testimonies — too many to list here — from recent meetings in Fowlerville, MI and Cleveland, OH. With a mandate, Evangelist Roger Webb is giving a voice to a Sound From Heaven. Boldly declaring a fresh word from Heaven backed by Kingdom signs. The battering ram of the miracle anointing shatter the strongholds placed upon people's lives and pierces through the darkness. An earmark of Back to God Miracle Campaigns is the visible display of the Kingdom of God with in your face miracles! Calling individuals to turn back to God. Rallying the church to prayer. Outreach - reaching beyond the walls of our buildings with that power. Miracles for the sick and diseased during each service. A sixteen year old girl with scoliosis found her back was straight after Roger prayed for her. A ninety-one year old woman whose broken fingers had been improperly set — the doctor said she would never be able to close her fist completely — received prayer and was able to close her fist with ease. She also prayed that night to receive Christ. A pastor who suffered with arthritis received healing prayer and was instantly healed. He went away pain-free. After the laying on of hands, an elderly man with bad back, knees and elbows was able to move without pain. His wife, who suffered from emphysema and had one lung removed, coughed up phlegm during the meeting. At the end, when Roger prayed for her, she coughed up what phlegm was remaining and, to her surprise, found her lung was clear. A thirteen year old girl was healed of stomach cramp pain. Here mother was also healed of a particular pain. The tumor on a woman's leg disappeared. Woman healed of bone spurs on spine (She had it for 6 years), and growth on her neck disappeared (it was the size of a small egg). Man healed of Multiple Sclerosis (had for 17 years). Woman healed of degenerative arthritis in her hips (she called friend and friend was healed of bone spurs on spine also). Man healed of injured knee (came in walking on cane left carrying it!). Man had financial miracle for his business. Woman's wrist and ear healed. Man healed of TMJ (a jaw condition). Woman healed of digestive problems. God is still doing today what He has always done in and through His Church. Here is a blog devoted to Christian healing testimonies: Testimony Share. Pastor Bill Johnson shares the testimony of a young man from his church who ministered the healing power of Jesus Christ in a grocery store. "If it doesn't work in the marketplace, it doesn't work," says Johnson. One woman is healed of deafness, another has her hip healed, a musician with carpal tunnel is healed. The young man preached the gospel and these folks received the Lord Jesus Christ. God is still doing what He has always done. Nine people, mainly women from the neighborhood, showed up ... God was powerfully present and healed them from reuma [rheumatism], emotional wounds, urination problems, and other hurts. One woman, who was nearly deaf, could hear again, to the surprise of her daughter and the other guests. You know, these women have a reputation in their neighborhood for being hard and bitter. But Jesus Christ touched them, they cried in our arms. 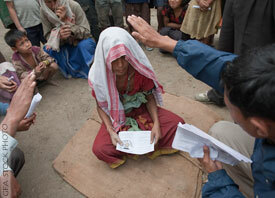 Afterwards two women applied for an introductory course about Jesus. The owners of the pub invited us back and suggested that we would use the larger room in the pub, as they are expecting more people to come. Thorugh believers like Marjan, Jesus is still doing today what He did two thousand years ago, going to where the needy are and bringing them salvation and healing.